Batailley was always seen as a reliable , well-priced claret , but recent innovations in the cellar have created more polished , elegant wines but without shedding any of its Pauillac typicity . This is a glorious wine , with lush, dense fruit yet blessed with masses of ripe tannin to ensure a long life. Brilliant, vibrant, with an almost electric precision on both the nose and palate, Ch. Batailley’s 2009 is quite amazing! It has great poise and elegance with lovely fresh blackcurrants on the nose and fine raspberry and blackberry fruit on the palate, mingling harmoniously with an earthy minerality. This is a powerhouse, with an underlying sophistication and presence suggesting to me this is going to be a legendary Batailley. Glorious! The Wine Advocate - The medium to deep garnet colored 2009 Batailley has a maturing, earthy/broody nose with notions of scorched earth and sweaty leather over a core of blue and black fruit preserves, fried herbs and rusty nails. Firm and medium to full-bodied with a chewy texture, it has a rather rustic finish. Jancis - Bright crimson. Pretty deep. Succulent and sumptuous on the nose. Lots of sweetness. Just a little attenuated but should deliver satisfaction eventually! Wine Spectator - Currant and blackberry on the nose, with hints of toasted oak. Full-bodied, with big, chewy tannins. This is the biggest Batailley in years. Lots of improvement here. Parker - The finest Batailley I have had in many years, the dense purple-colored 2009 exhibits a boatload of tannin as well as sweet, caramelized, black currant fruit intermixed with hints of charcoal, cedarwood and smoke, a full-bodied mouthfeel and the aforementioned high, but sweet, well-integrated tannin displaying no jaggedness. 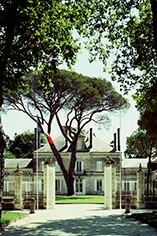 Batailley often requires considerable patience as it can be one of the longest-lived Pauillacs. 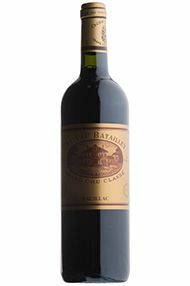 Atypically for Batailley, the 2009 should be ready to drink in 5-7 years and keep for three decades. Decanter - Dense red, good leafy blackcurrant nose, good broad plummy fruit, smooth texture attractive leathery spice and good length.